1. Bertolotto C. Melanoma: from melanocyte to genetical Alterations and clinicaloptions // Scientifica. - 2013. 2013:635203. 2. Злокачественные новообразования в России в 2014 году (заболеваемость и смертность) / Под ред. Каприна А.Д., Старинского В.В., Петровой Г.В. - М., 2016. - 250 с. 3. Davies M.A., Samuels Y. Analysis of the genome to personalize therapy for melanoma // Oncogene. - 2010. - № 29(41). - Р. 5545-5555. 4. Davies H., Bignell G.R., Cox C. et al. Mutations of the BRAF gene in human cancer // Nature. - 2002. - № 417 (6892). - P. 949-954. 5. Long G.V., Menzies A.M., Nargial A.M. et al. Prognostic and clinicopathologic associations of oncogenic BRAF in metastatic melanoma // J. Clin. Oncol. - 2011. - № 29. - Р. 1239-1246. 6. Balch C.M., Soong S.-J., Gershenwald J.E. et al. Prognostic factors analysis of 17600 melanoma patient: validation of the American Joint Committee on cancer melanoma staging system // J. Clin. Oncol. - 2001. - Vol. 19. - P. 3622-3634. 7. Hmonen S. Prognosis of primary melanoma // Scand. J. Surg. - 2002. - Vol. 91. - P. 166-171. 8. Grande Sarpa H., Reinke K., Shaikh L. et al. Prognostic significance of extent of ulceration in primary cutaneus melanoma // Am. J. Surg. Pathol. - 2006. - Vol. 30. - P. 1396-1400. 9. Maddoni N., Setaluri V. Prognostic significance of melanoma differentiation and trans-differentiation // Cancers (Basel). - 2010. - Jun. - 2(2). - Р. 989-999. 10. Кит О.И., Водолажский Д.И., Златник Е.Ю. и др. Сравнительная характеристика мутационного статуса гена BRAF в зависимости от клинико-морфологических особенностей меланомы кожи // Современные проблемы науки и образования. - 2015. - № 5.; URL: http://www.science-education.ru/ru/article/view?id = 22900 (дата обращения: 20.02.2016). 11. Elder D.E., Van Belle P., Elenitsas R. et al. Neoplastic progression and prognosis in melanoma // Semin. Cutan. Med. Surg. - 1996. - № 15. - Р. 336-348. 12. Jung J.E., Falk T.M., Bresch М. et al. BRAF mutations in cutaneous melanoma: no correlation with histological prognostic factors or overall survival // Brazilian Journal of Pathology and Laboratory Medicine. - 2010. - Vol. 46, № 6. - Р. 487-493. 13. 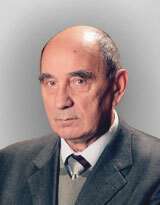 Любченко Л.Н., Черненко П.А., Хатырев С.А. и др. Клинико-генетическая гетерогенность меланомы кожи // Злокачественные опухоли. - 2012. - Т. 2, № 2. - C. 81-90. 14. Liu W., Kelly J.W., Trivett M. et al. Distinct clinical and pathological features are associated with the BRAF(T1799A(V600E)) mutation in primary melanoma // J. Invest. Dermatol. - 2007. - Apr. - 127(4). - Р. 900-905. 15. Shinozaki M., Fujimoto A., Morton D.L. et al. Incidence of BRAF oncogene mutation and clinical relevance for primary cutaneous melanomas // Clin. Cancer Res. - 2004. - Mar 1. - 10(5). - Р. 1753-1757. 16. Menzies A., Haydu E., Visintin L. et al. Distinguishing Clinicopathologic Features of Patients with V600E and V600K BRAF-Mutant Metastatic Melanoma // J. Clin. Cancer Res. - June 2012. - № 18. - Р. 3242-3249.